It’s hard not to love Cynthia Guffey’s beautifully constructed garments in cottons and silks. She was at the Expo again this past year and even though I have purged past patterns of hers from my stash I still ended up taking several new ones home with me. Several Material Girls modeled her garments on the runway and also fell under the spell. So this year we decided to give her patterns a fighting chance. We are hoping that some group effort may unlock the mysteries of her limited sized, scantily illustrated, but technically challenging patterns. 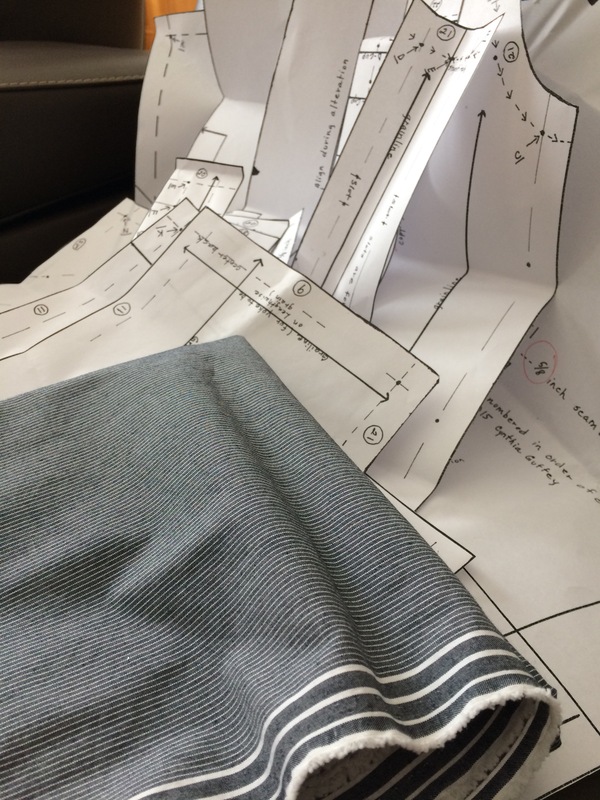 To that end, we will be bringing our Guffey patterns to Workroom Social classes at Treadle (2/21 and 28 for starters) and Sew Social classes at JoAnn Yorktown (most Thursdays from 1-4). Debbie has her muslin partially constructed for the jacket pattern with deep pleats at the shoulders. I have cut out the paper pattern and chosen fabric for the blouse with split button placket. 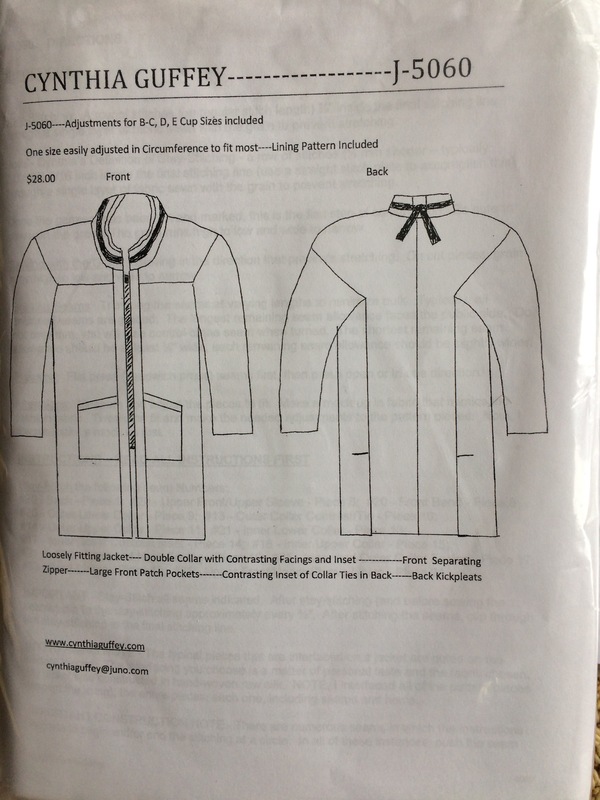 I was happy to see that the new Threads issue has an article on a related button placket. If you have experience with Cynthia’s patterns or would like to delve into her patterns with us, please email or register through Treadle (651-698-9690) or our website. I’ll be posting our progress!